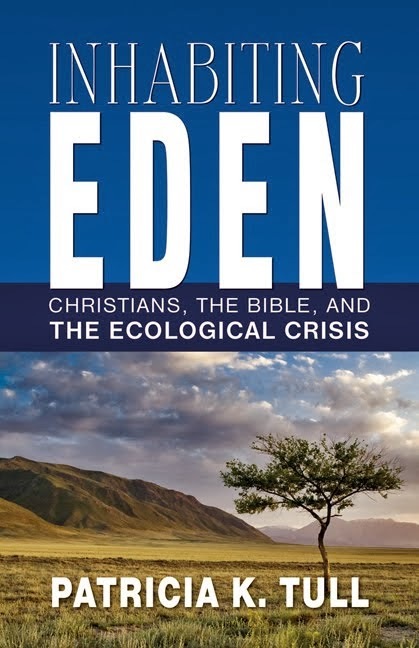 After Exegesis frames an inclusive feminist biblical theology, exploring creation, providence, divine judgment, salvation, praise, justice, authority, inclusion, the “other,” moral agency, suffering, violence, reconciliation, flourishing, and hope. Each chapter places multiple related biblical texts in dialogue around a common theological concern. In so doing, this work exemplifies a central feminist claim: that bringing two or more texts, often born of different contexts, into conversation with each other generates a productive tension that transcends the dominant theological tradition. 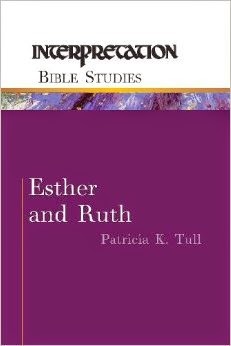 After Exegesis thus underscores the fact that the context for feminist biblical theology must be understood more broadly than it has been traditionally construed. 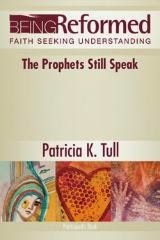 The volume demonstrates feminist theology fulfilling this promised breadth, while also staking a claim to the future: theology must attend to humanity’s interdependent connectedness to the rest of creation and to such realities as human embodiment, suffering, oppression, hope, and the multivocal nature of truth. The prophet Isaiah’s influence extended from his long career in Jerusalem in the late 8th century BCE through Judah’s exilic and Second Temple periods. Through the ages in both Judaism and Christianity, Isaiah’s words have funded subsequent theological writings, liturgies, lectionaries, hymns, poetry, and art. Among early Christian writings, Isaiah was seen as “evangelist rather than prophet,” foretelling Christ’s birth, life, death, and resurrection—a view that continues to prevail today, though scholars have long argued that Isaiah addressed his own time and not, in the first instance, the distant future. Readers of Tull’s engaging guide will come to understand Isaiah as visionary spokesperson of ancient Jerusalem’s God in a critical moment in the history of western faith. They will learn about the paths the book traveled as it grew, absorbed new meanings, underwent reinterpretion, and emerged as Scripture for synagogues and churches. Preachers, teachers, and students will imagine afresh the connections between modern people and this ancient book. Old Testament prophets were concerned with many of the same issues as Christians today: issues of righteousness, obedience, social justice, and visions of hope for the future. This study explores how what the prophets proclaimed to the people of their time still has urgency and importance for our time as well. Being Reformed: Faith Seeking Understanding is a series of biblically based mini-courses that provides adults with a foundational understanding of the Reformed faith. Each six-session study—written by well-known and respected scholars—features Scripture, prayer, in-depth commentary, and questions for reflection. Each study addresses its subject from a Reformed theological perspective. 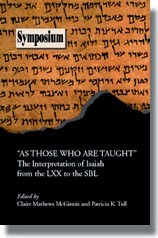 This far-ranging volume offers a survey of the history of Isaiah’s interpretation over the course of two millennia, from the Septuagint and early versions, continuing through the centuries in Jewish and Christian exegesis, and concluding with the late twentieth century. Each chapter includes an introductory survey of Isaiah’s interpretation within a particular historical context and pursues a particular facet of Isaiah’s interpretation by one of Isaiah’s many readers in that time period. The contributors are David A. Baer, George J. Brooke, J. David Cassel, Alan Cooper, Jan Fekkes III, Robert A. Harris, Arie van der Kooij, Claire Mathews McGinnis, Roy F. Melugin, Amy Plantinga Pauw, Gary Stansell, Marvin A. Sweeney, Patricia K. Tull, J. Ross Wagner, and Catrin H. Williams, representing the fields of biblical studies, rabbinics, and Christian history and theology. An indispensable resource for scholars and students working in the fields of biblical studies, hermeneutics, and the history of interpretation, this volume will also appeal to anyone with an interest in the book of Isaiah and its interpretation. Problems of race and gender confront Americans publicly every day. About once a week, anti-Semitism becomes a national news item, either in reminders of the Holocaust or in outbursts of neo-Nazism. Power, violence and vengeance dominate not only actual events but also fiction, on television, in the cinema, and in countless novels. 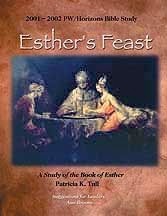 The biblical book of Esther is filled brimful with these same themes: vengeance, violence, power, racial and gender conflicts, even anti-Judaism. All of these ever-so-contemporary themes make the story read like a modern parable. Set in the ancient empire of Persia, and opening as exotically as “A Thousand and One Arabian Nights,” the book of Esther quickly draws us into its extravagantly dangerous, darkly funny, sharply satirical and yet breathtakingly poignant world of intrigue in the palace of King Ahasuerus. There, failure to heed the call of drunken kings spells banishment, and refusal to bow down before arrogance means death. Yet Esther, a young heroine who is at once foreigner, woman and orphan, takes courage alone and, aided by a providential chain of circumstances and an excellent wine list, rescues the Jewish nation from genocide. It has long been recognized that Isaiah 40–55 partakes of the themes and forms of a variety of other biblical texts­: not only other prophetic books, but also pentateuchal stories and several psalms and laments. Remember the Former Things argues that this correspondence is quite intentional, that a driving force of Second Isaiah's rhetoric is the recollection, or re-collection, of other, already familiar texts into its own poetry. Be reusing words known to the exilic community, Second Isaiah reapplied the "former things of old" shaping them into a "new thing" for a society in a radically altered situation, a people reevaluating their national self-understanding in the wake of the destruction of their capital city, monarchy, and temple.